I am a Senior Lecturer in the School of Arts and Social Sciences at Monash University Malaysia. I received my Ph.D. in Political Science at Emory University in 2011. 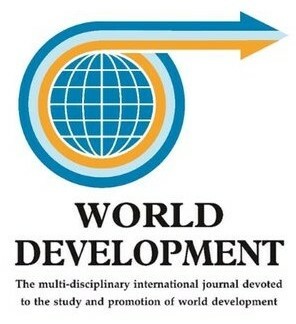 My dissertation, The Varieties of Capitalist Development: The Political Determinants of Economic Governance Systems, focused on the impact that structural and institutional factors had in constraining policymakers and shaping economic governance systems in Thailand, Malaysia, and Singapore. 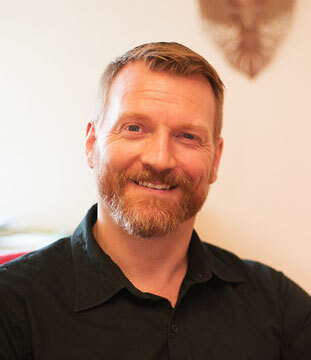 My research interests include political science education, political economy, the varieties of capitalism, Southeast Asian politics, economic development, and corporate governance. 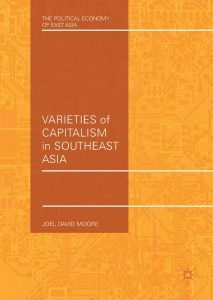 This book explains the political determinants and evolution of capitalist institutions in developing countries by looking at distinct patterns in the electronics industry in three Southeast Asian countries: Thailand, Malaysia, and Singapore. An analysis of the political determinants of these patterns has a number of theoretical and practical implications. It includes a new explanation for family business behavior, a unified framework for explaining capitalist varieties, a guide for institutional reform, and a comparative examination of three dynamic Asian economies that provides important insights to students, scholars, and people in business. 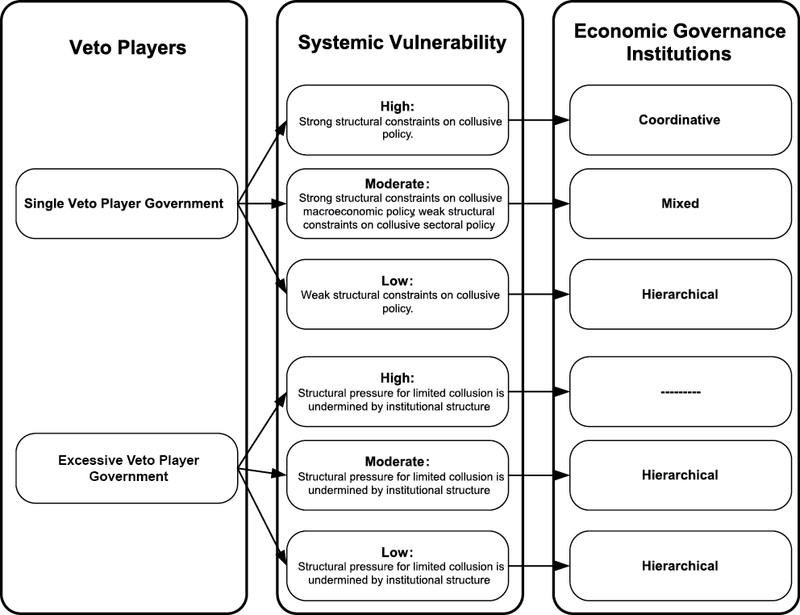 For single veto player governments without alternation, we would expect the lack of constraints on rent-seeking to lead to a particularistic policy environment and a hierarchical system unless systemic vulnerabilities serve as an alternative form of constraint. Thus, systemic vulnerability conditions the impact of the single veto player. Additional players add additional constraints on the government’s ability to radically change policies or provide narrowly-targeted rents. At the high extreme, however, balkanization and/or logrolling occurs so that narrowly-targeted rents are pervasive throughout the economy and hierarchical institutions develop. This application allows the lecturer to distribute a set of unique 'keys' to students. This key contains information about a secure Google Sheets document owned by the instructor (and shared with the application). Once the student inputs their key, the application will identify the student's fellow groupmates and ask them to provide written feedback to their peers and use the pool distribution of group marks method of allocating peer grades. Under what conditions does economic growth benefit the poor? In this paper, we employ an inductive approach to glean possible pathways out of poverty from two highly similar underdeveloped neighboring provinces in northeastern Thailand. We explore factors that can account for one province reducing poverty at a quicker pace than expected, even as the other failed to channel its faster growth into significant poverty reduction. Our study finds that in Surin province, because a strong network of local NGOs was working closely with provincial leadership, national policies that targeted the poor found fertile ground and thrived. Small-scale, low-tech, rural-based initiatives including organic rice, handicraft production, and rural tourism helped drive initially high levels of poverty down. Though many in Si-Saket also pursued many of these initiatives, they were structured in ways that promoted economic growth but largely prevented poor farmers from benefitting. Further research can examine whether this kind of “micro-oriented” path to rapid rural poverty reduction is useful in other contexts. 2017 World Bank annual country report for Thailand included an extensive annex, highlighting and summarizing our research findings. World Bank Asia Director, Ulrich Zachau, mentioned our research findings to journalists while advocating for policy that utilizies civil society. This application allows the lecturer to enter their class roster (by linking a Google Sheet or uploading a CSV file) for tutorial/discussion section, have students input their level of preparation at the start of class, randomly select three 'prepared' students, and collecting the grades for the day (by downloading an updated CSV file or appending their Google Sheet with a new worksheet).